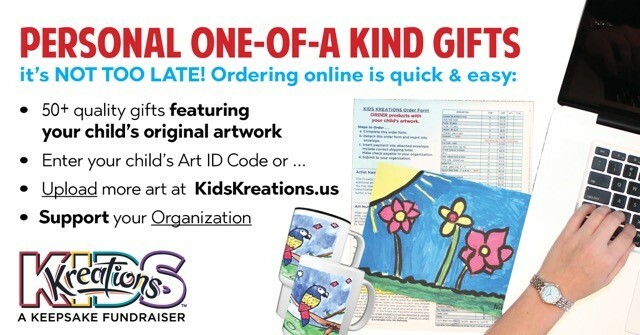 Purchasing KidsKreations products is a fun way to treasure your child’s artwork and creates beautiful gifts. There are dozens of fabulous and useful products to choose from. Please visit www.kidskreations.us by November 16th to place your orders. Orders placed by November 16th will be delivered prior to the first Winter Break. Please contact Jennifer Krohn: jenniferkrhn@yahoo.com with any questions.